One of the iconic staples in our Christian camping toolbox is the hiking trails that lead guests and campers on a journey to enjoy and explore God’s creation. But some campers interpret the very idea of a long walk as a boring activity. 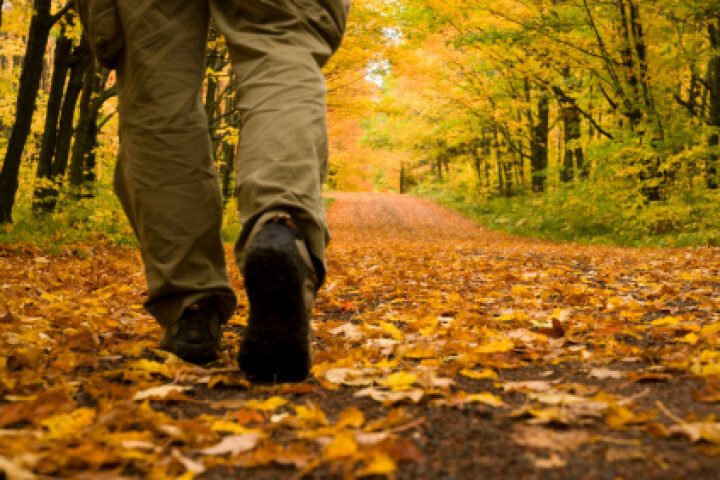 Does that make hikes irrelevant for effective ministry? Keep reading as guest blogger Jim Fletemeyer shares his thoughts and questions about this cultural shift. To what degree are your camp’s trails used these days? Are they as popular now as ever? If not, why not? These are interesting questions in an impatient age that demands more stimulating, non-exhaustive gratification. Perhaps it’s time to consider what else a trail can do to build anticipation, excitement and memories back into the camp experience. A typical trail may simply “make the rounds,” leading campers about the property, or it may lead “into the wild,” departing the physical camp to enter nature’s more glorious domain. Remote trails are most successful when a rewarding destination awaits the journey’s end or when hikers encounter special or unsuspected features and events along the way. But what if those elements are not inherent, but are limited, spread too far apart or nonexistent? Could we skillfully add to the experience without harming the native setting? Without question, our first inclination should be to capitalize on the trail’s natural amenities. We should ask ourselves, Where are those teachable moments that nature creates that give us pause? Have we witnessed them ourselves, and do we underscore their significance or legacy, as a part of the trail’s history? Then we might ask, Could other elements be added that would upgrade or embellish the journey, enhancing the experience for the next generation? Part of what’s gotten “lost in the woods” may be the adventure. Today’s campers say, “Been there, done that,” before stepping off the bus. They may have actually walked the trail or have some other understanding of what it must be like that pre-empts the exercise altogether. Many will say, “That’s boring,” before ever having hiked a path. The Encarta Dictionary defines a hike as “a pleasurable long walk”, but in today’s vernacular, being told to “take a hike” sadly, has more than one meaning. The very idea of a long walk can have a negative connotation with campers today, often interpreted as a boring activity. Their lives are saturated with forms of instant fulfillment, and the idea of waiting on or extending the time it takes to conclude an activity invites anxiety. How can we revive our trails to produce a better experience, where heat, humidity and time have become a diminished concern? Interpretive signage, photovoltaic lighting, interactive speakers, CD-Rom technology and GPS orienteering have given the National Park Service a leg up in giving trail exploration a new dimension. Our trails need to inject creative but sensitive forms of stimulus to invoke a renewed sense of value to experience the journey. We need to ask if our “off-trail retreats,” our “prayer-and-ponder stations” and our “routed Bible verses” are enough these days to inspire memorable contemplation. Have we done the best we can with setting the stage along the way? This is not an article about answers or solutions. This is an article about questions and brainstorming. So now it’s your turn: To what degree are your camp’s trails used these days? Are they as popular now as ever? If not, why not? Great ideas. We’ll use them! Appreciate your sharing. We just put in a boardwalk trail on our small lake it was paid for by the US Fish and Wildlife Dept. You see we had trails but often they were muddy and wet people did not want to go down them. With these new boardwalks we also have a local artist creating the interpritive signs with the help of a local biolgist. There is also a nice gazebo for a place to stop and reflect as you look over the lake. That’s a good one. At Decision Hills in Minnesota, this was the case. The camp has three trails – two are wooded, and one has nice variation of views of the site, the lake, the prairie – but, other than “Meditation Hill” – the high point …of the camp, nearest to the activity area, with three crosses on it, the rest of it was pretty much just walk. The one that goes over the hill is the favorite, the “Prairie Schooner” trail. Adding meditation sites, teaching moments, along such a trail is a great opportunity for Girl Scouts or Boy Scouts to do the Girl Scout Gold Award or Boy Scout Eagle project to create the “places” that will entice a person to explore the trail, and inspire thought, and add to the teaching involved in a program. My daughter did this in 2009, take a look at http://www.facebook.com/decisionhillsmeditationtrail to see the results. During this past summer, a “trail walk” became more than a hike. Small groups would pick out favorite verses or quotes, discuss them. Families on a weekend retreat would use the trail for their own, personal, Sunday worship. Even a local resident, coming off the trail one day, said her and her husband, not feeling connected to a church, love the camp, and used the trail for their own “church service” regularly. An adult from a grandparent camp told me that she and the other adults truly felt inspired by the points on the trail and the combination of verses and quotes. My daughter’s goal in the myriad choices of verses and quotes was the lesson we’ve taught her – that as much as all Christian’s have a basic core belief, the messages in the bible speak to each person differently. The meditation sites along trail seemed to have met it’s goal, to add to the outdoor experience, to inspire people to reflect on their faith, and to provide teachable moments when enjoying the beauty and peace of the outdoors. Alpine Camp and Conference Center is on a relatively small, land-locked 46 acres in the San Bernardino National Forest of southern California. All of the property is surrounded by densely developed residential area and about half of it is on forested hillsides. Our guests consistently tell us the trees, birds, nature, forest, etc. are among the things they like best about coming here. So, we added a prayer trail last year. It only takes 10 minutes to walk the loop. The prayer/meditation stations are not complete yet. But we know it is and will be an asset to the spiritual formation experiences of our guests because so few of them have regular opportunities to surround themselves with nothing but trees and at least more silence than the find in their home neighborhoods. We continue to design and build more trails due to the increased interest and usage by all ages. Our emphasis on “strengthening families through experiences outdoors” by creating many outdoor places to experience creation together, includes building trails that are wide enough to allow walking and talking side-by-side. Time spent ‘together’ is precious time full of teachable moments when walking together outdoors. We provide natural history information on trail signs and information kiosks to help as discussion starters. We provide safe walking paths that encourage grandparents to walk alongside their grandchildren, you will be amazed at the stories they begin to share and how young people appreciate hearing these stories of the grandparents youth at camp, on outdoor adventures and on their own personal faith walk. These moments become bonding experiences we sadly have lost in our daily busy lives. We don’t tell our campers to “take a hike”, we say lets go explore together. We have a boring trail. Boring in the sense that it literally is just a trail that takes you through a portion of our property. We have no signage, not even a bench to sit down on along the way. However, people LOVE our trail. As soon as we created it we saw that many of the moms that come to camp as counselors would walk our trail 2-3 times each evening as the sun was setting. The trail provides great views of the lake near us and the sunset over it. Our deans have utiliized it in their programming. Sometimes…it’s the small things that matter to people. Our trail is about a mile long…and all we did to create it was to mow a shorter path through our property. We’ll definitely continue to consider improvements to it…but in the meantime it’s still a hit with our people. We have a trail that surrounds our lake. There is an outdoor amphitheatre that is used for some as a campfire site and others as an outdoor service/solitude/reflection. There are also picnic tables along one side of the lake for many to have peaceful fellowship. Our trails are great for reconnecting with God and all His wonders. We have creation hike for our Day Camp that uses all five of the senses. On this hike we want to emphasize to children how we love and care for nature. We know that God has made all of nature for us to enjoy and take care of. We stop along the trail and do different activities that focus on one of the five senses. 3.Sleeping Bear: Choose one person in your group to be Sleeping Bear. The rest of the group will be explorers. The bear sits blindfolded on the ground, jealously guarding a handkerchief that he has stolen from one of the explorers. It rests in front of him (cloth). But a bear can’t stay awake forever guarding his treasure, and he has fallen asleep. The explorers form a ring around the bear, about 30 paces away. At a signal, the explorers begin to advance as quietly as possible. They must try to get close enough to steal the handkerchief without waking up the bear; so they will need to be aware and in control of every movement of their bodies. If the bear clearly hears an approaching explorer, he points in that direction. If his finger points true, or nearly true, the explorer must freeze. When a number of stalkers have been frozen, stop the game and allow the frozen ones to go back to the perimeter and start over. Great ideas. We have used the idea of listening. We just stop on the trail and are quiet. Ever hear the sound of the wind in the leaves? I think that’s pretty awesome – especially in our world of constant noise. I wonder if merely trying to make nature exciting for those who are high-energy folks if we need to gently teach that there is another lifestyle pattern characterized by those quiet moments slowly walking in the middle of creation. Maybe the best memory a camper could take home is of the moments that he/she was silent before the Lord. I agree with you that the sound of the leaves are awesome. Creation is a gift from God that cannot be duplicated by man. We have had campers say that they will miss the quiet and stillness they find at camp. They feel more peaceful and settled. 2. Rock (pine cone or leaves work, too) ID: Have all campers find a rock. Have them search their rock for any identifying characteristics. After they feel like they know their rock, have them all put their rocks in a group. While the campers turn around, mix them up. Then let the campers try to find their rock. 3. Movie Camera: Concentrate on seeing the world by becoming a camera. Have campers choose a single plant, rock leaf, etc. and squint. Put the “camera” out of focus to see lines and patterns without the confusion of details. Then, slowly bring your eyes back into focus until they click into a clear picture. 4. Micro hike: Give some children a magnifying glass (they can be found in the FC staff room) and a piece of string that had been tied into a circle (string is optional). Have the child form his string into a circle on the ground and examine everything in that little area. Or give the children boundaries and let them explore anywhere within those boundaries. Let them use the dental mirrors to examine the underneath of leaves that are low to the ground. Best for primary age. 1. Break kids into pairs, one is blindfolded. The sighted person will have partner touch an object in nature. The blindfolded person must try to guess what the object is. 2. Tree Grokking: Have each camper get a partner. One partner will be blindfolded. Have the other partner lead the blindfolded partner to a tree. Then, have the blindfolded person totally examine the tree. You might have him examine things like, “Is the tree still living?” “Are there plants on my tree?”, “Can I fit my arms around the tree?”, “What does my tree smell like?” After a good amount of time, have the sighted partner lead the blindfolded partner back to the middle of the circle and remove the blindfold. That person must go back and find the tree he examined while he was blindfolded. Have the partners switch and go through the same exercise. 3. Handwashing: Stop at various places and wash hands in the soil, leaves, sand march water, moss, rotting wood – anything and everything. Feel with the entire hand. This is a fun way to compare different textures of things on the ground. 1. Take a “smell hike”: Smell various nature items at Tilikum. What is your favorite smell? 2. Choose two things – one that smells good, the other that smells bad. Share those two things with a friend. See how many different smells your group can come up with. 1. Find edible plants and have campers taste them. What does this taste remind you of? Tell campers what the plants can be used for. I’m so interested to hear responses on this . . . we have beautiful trails, dotted with group building initiatives along the way, but they’re so “under-used.” I’m curious to hear ideas . . .